Anthony Sinor - Sinor Prestige Automobiles, Inc.
Anthony attended the University of Tulsa, Graduating in 1999 with a BS in Computer Information Systems. He is currently employed as a Senior Software Engineer at CenturyLink. Anthony has grown up around cars, learning from not one, but two of the most respected names in in the Corvette Hobby, Roy L. Sinor and Roy J. Sinor. He attended countless Bloomington Gold and NCRS events throughout his life, learning as much as he could from them. With their assistance built his first car, a 1970 Baldwin Motion Phase III Camaro Recreation, at the age of 14. Today, in addition to his career as a Software Engineer, Anthony works closely Roy at Sinor Prestige Automobiles, continuing to learn all that he can. 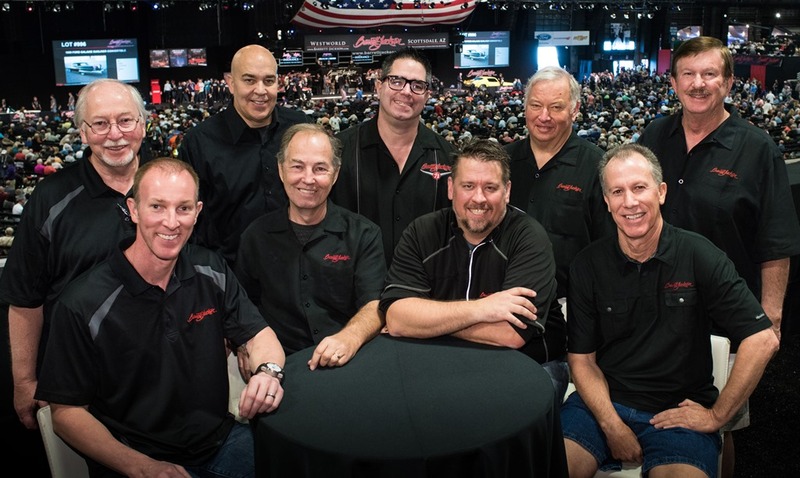 He was also an Automotive Specialist for Barrett-Jackson collector car auctions until February of 2019.